Mahathir should be the one charged under the Sedition Act if the law is enforced justly and fairly. Old man opposed the abolition of sedition act because he knows that he will never be charged under the act. 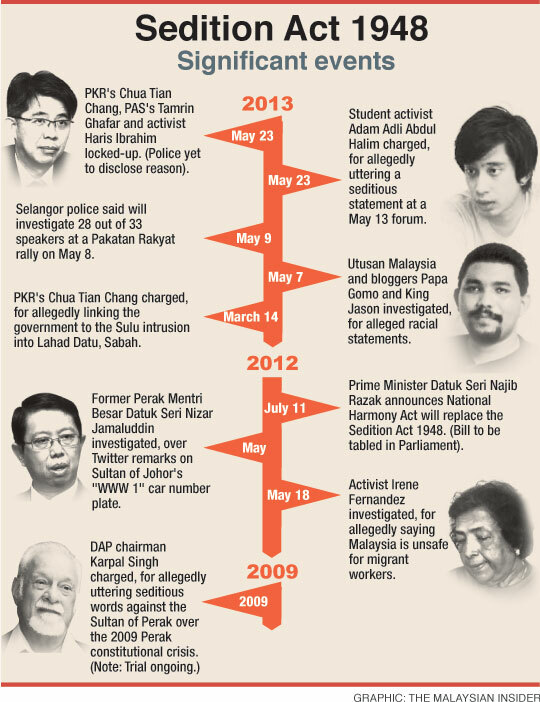 The Sedition Act is abused to charge opposition members and social activists for too long. “Janji itu kota”, I hope the Sedition Act be abolished by PM Najib and replaced with a new act relevant to time. Those ministers disagree with PM should resign or fire from the cabinet. KUALA LUMPUR: Tourism and Culture Minister Datuk Seri Nazri Aziz (pic) has maintained that the Sedition Act will be repealed in line with the announcement by Prime Minister Datuk Seri Najib Tun Razak last year. He said the matter was raised in the Cabinet last July when he was the de facto law minister, adding that the Attorney-General’s Chambers was asked to look into coming up with the National Harmony Act. “It was a public commitment made by the Prime Minister. The Prime Minister did not retract his statement. The statement still stands,” he said at the Parliament lobby, adding that he did not understand why there were conflicting statements on the matter. Nazri said the A-G’s Chambers was still engaging the relevant stakeholders before it could come up with the final draft of the National Harmony Act. On the differing opinions on the issue between him and his Cabinet colleagues, such as Home Minister Datuk Seri Dr Ahmad Zahid Hamidi, who felt that the Act should remain, Nazri said Ahmad Zahid was free to express his views. “We practise freedom of expression. It is his opinion, so what’s wrong with that?” he said. Meanwhile, MIC said it would support moves to either abolish or amend the Sedition Act if the new laws strike a balance between upholding freedom of speech versus ensuring national security, said its deputy president Datuk Seri Dr S. Subramaniam. “The best approach by the Government is to come to a decision where both the principles of freedom of speech and responsibility in using this freedom are followed. 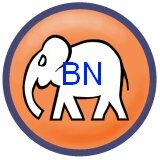 This is to ensure that unity amongst the rakyat and the nation’s stability is not compromised,” he told reporters at Parliament. PKR vice-president Nurul Izzah Anwar called on Najib to clearly state his stand on the abolishment of the Sedition Act as he had promised to do. She noted that the issue of whether to retain, abolish or amend the Act had seen various ministers offering differing views on the subject. According to Nurul Izzah, the Act was archaic, can be abused as a political weapon, and not necessarily to safeguard the interests of the rakyat. “I am ready to present Najib a copy of my Bill calling for the abolishment of the Sedition Act,” she said.